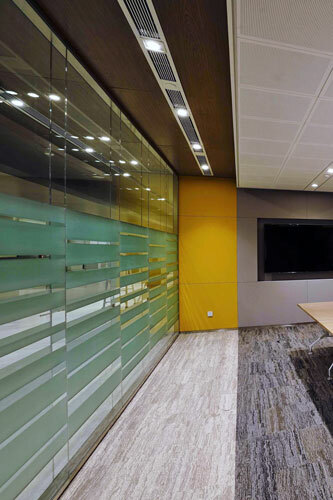 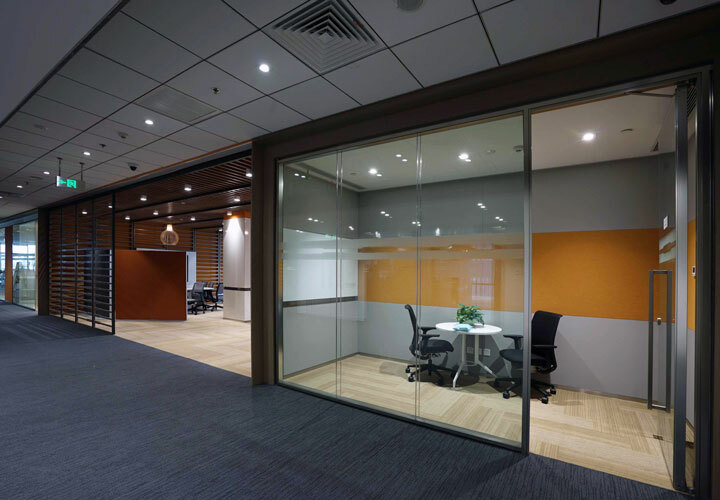 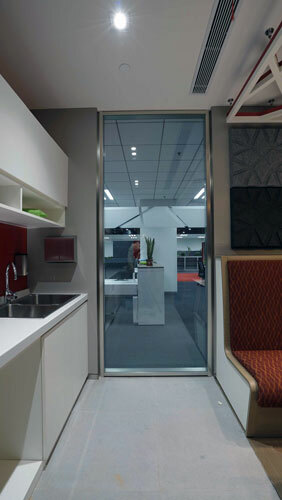 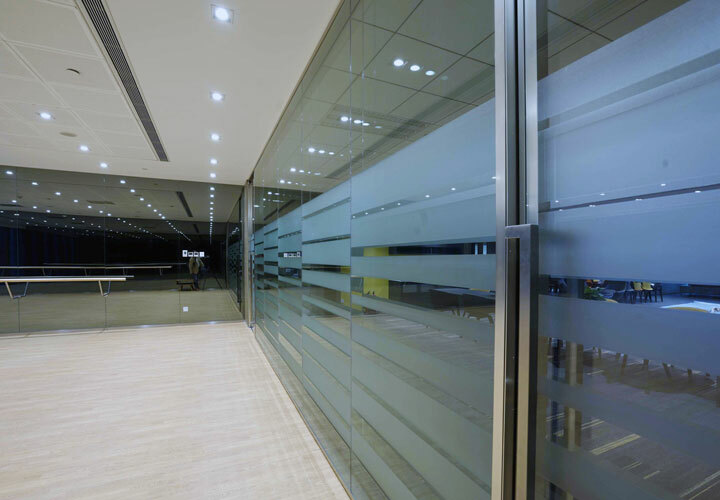 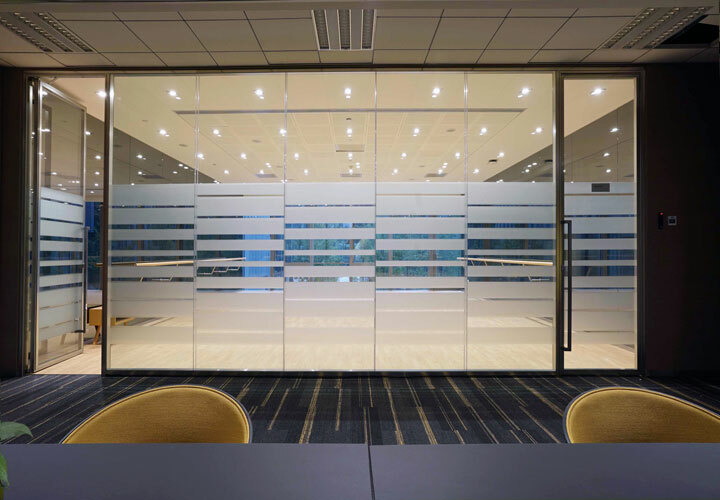 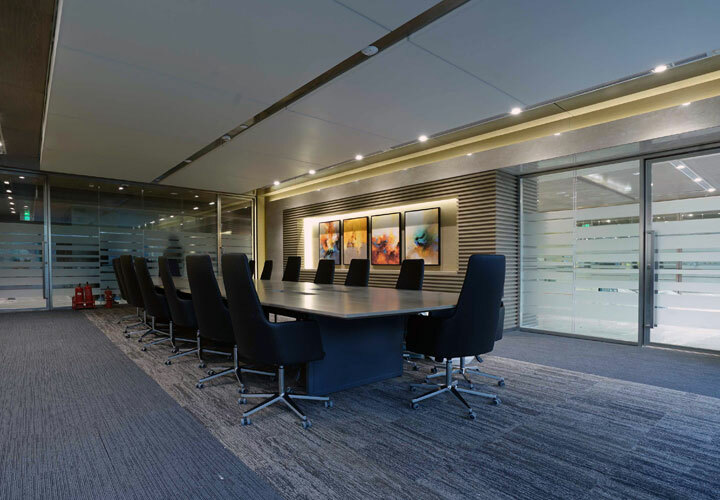 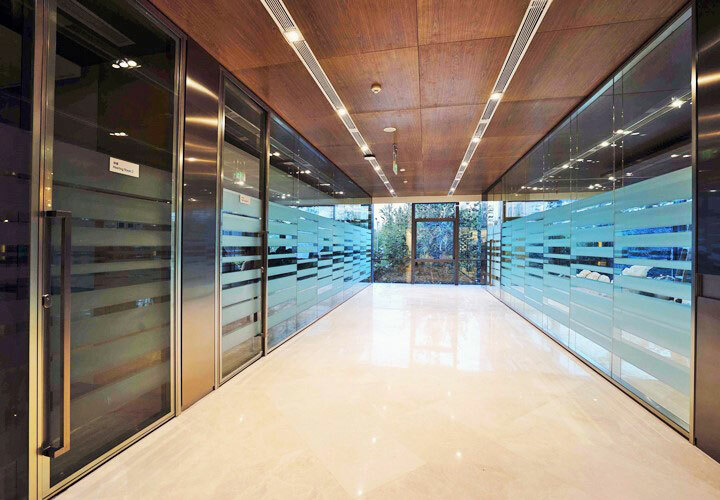 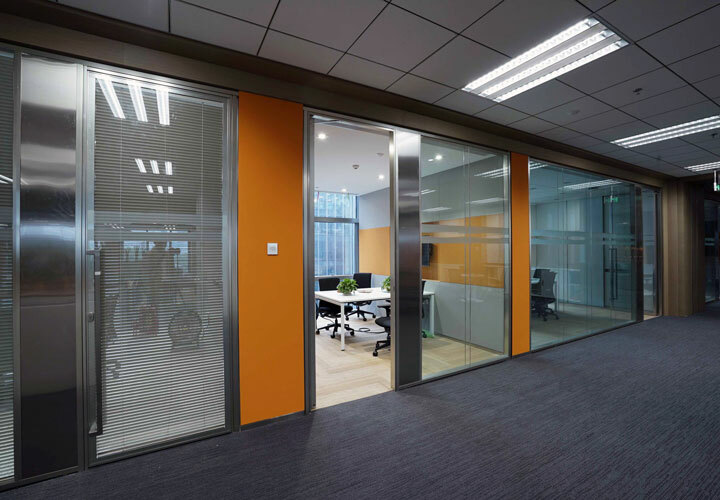 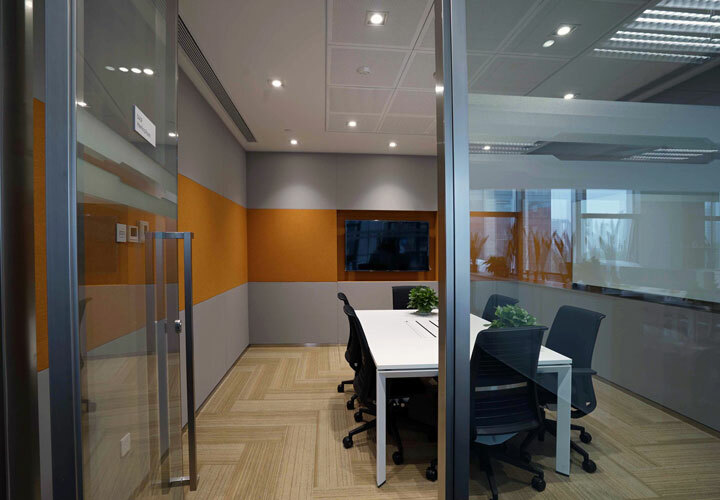 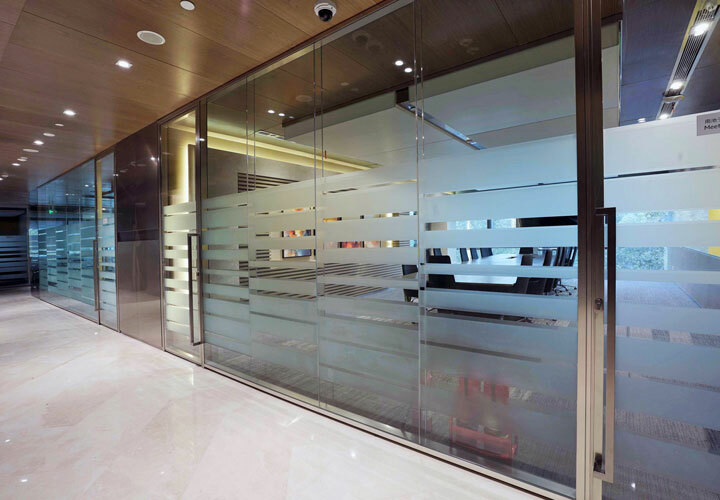 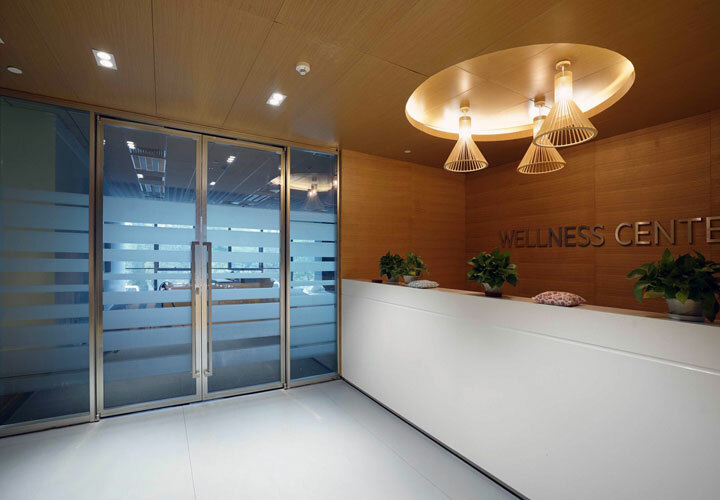 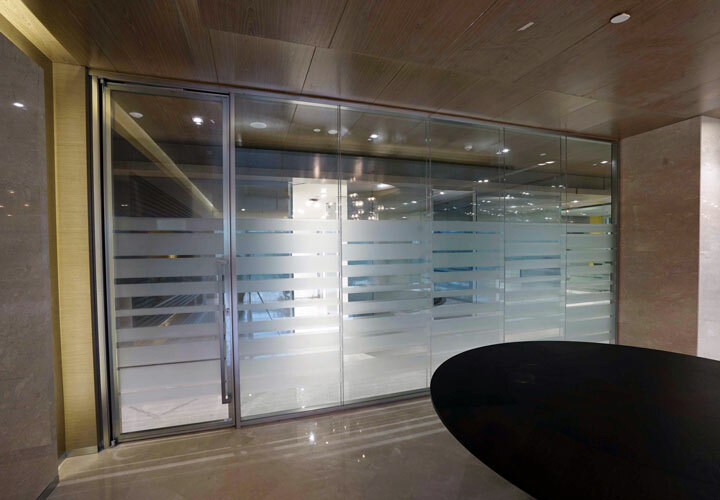 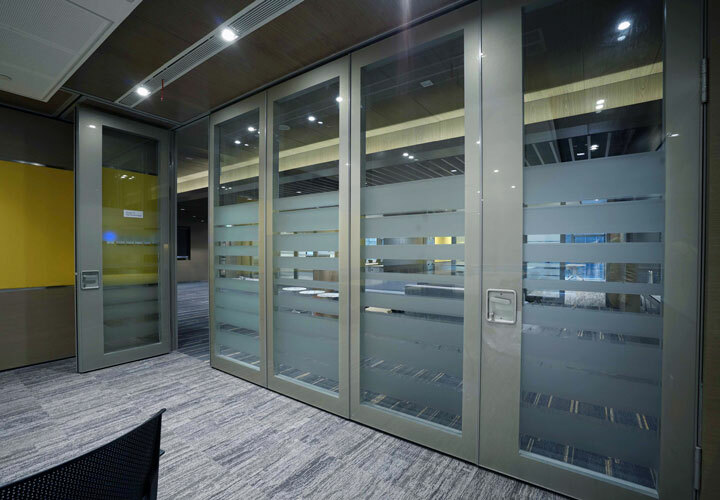 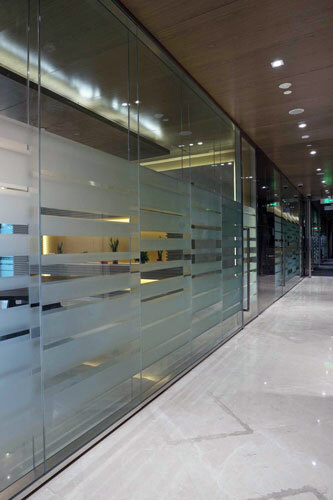 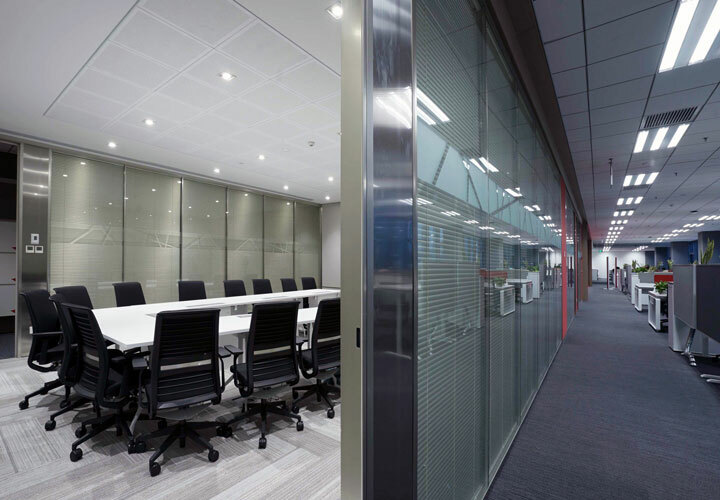 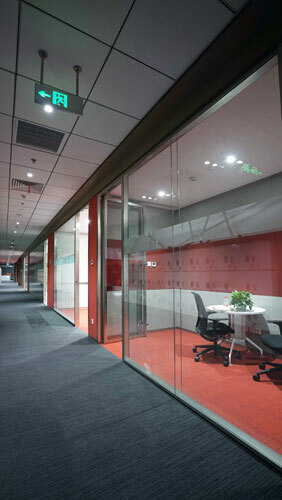 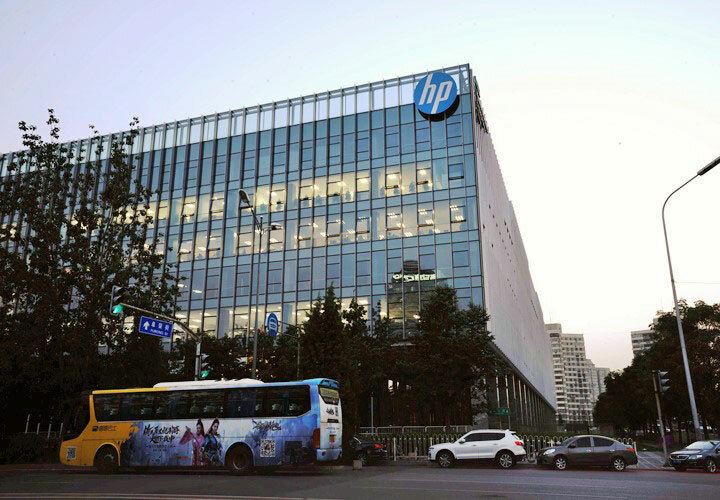 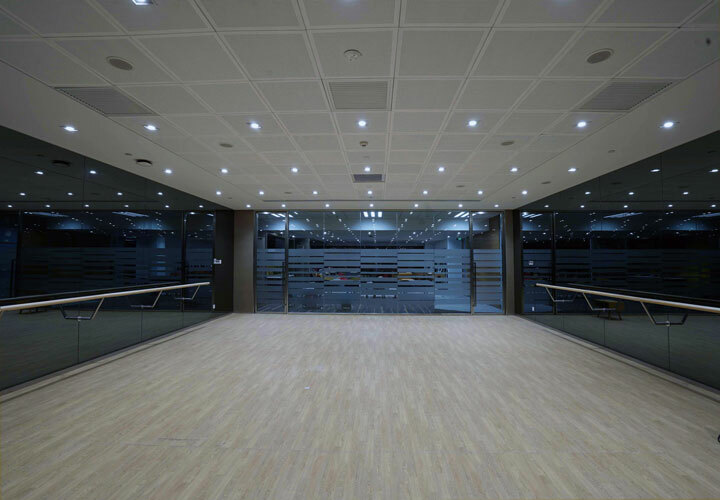 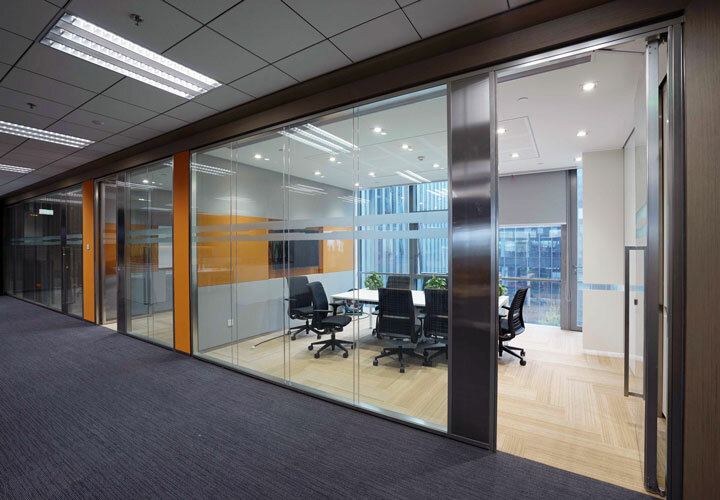 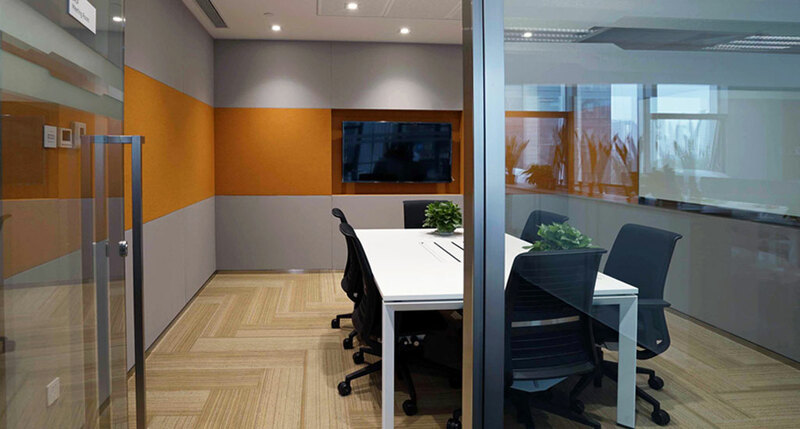 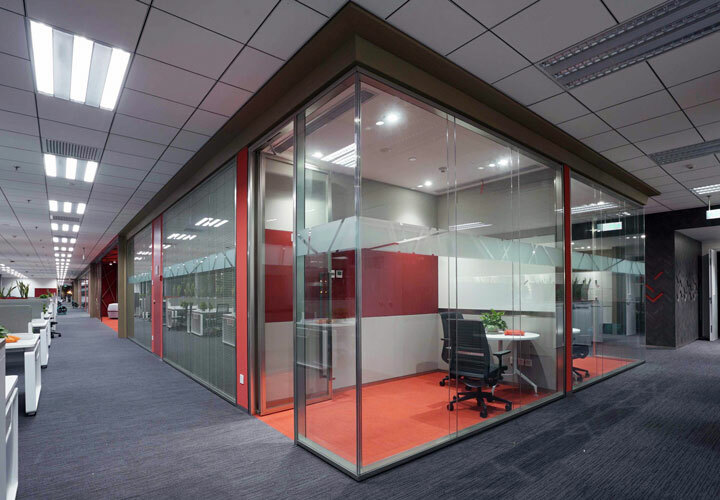 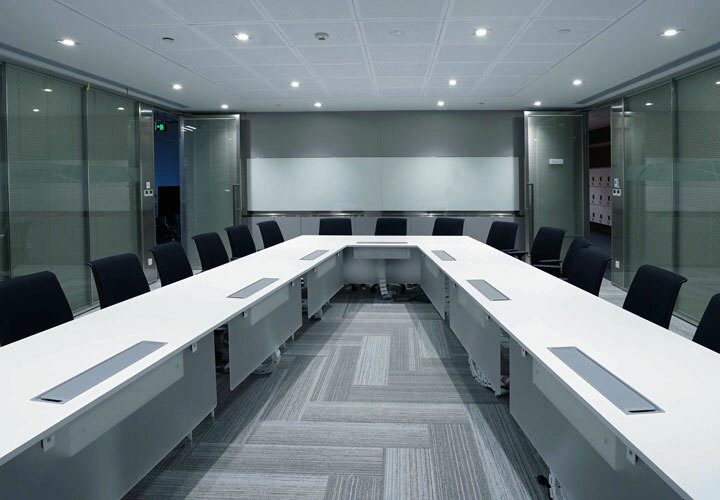 2,000 sqm of demountable double glazed P100 partition, with 135 flush double glazed doors, for private offices, small and big meeting rooms. 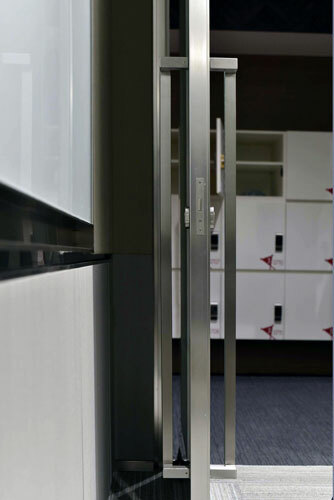 The frame is in a special polished anodized champagne colour finish, with a technical panel in finger print free polished stainless steel. 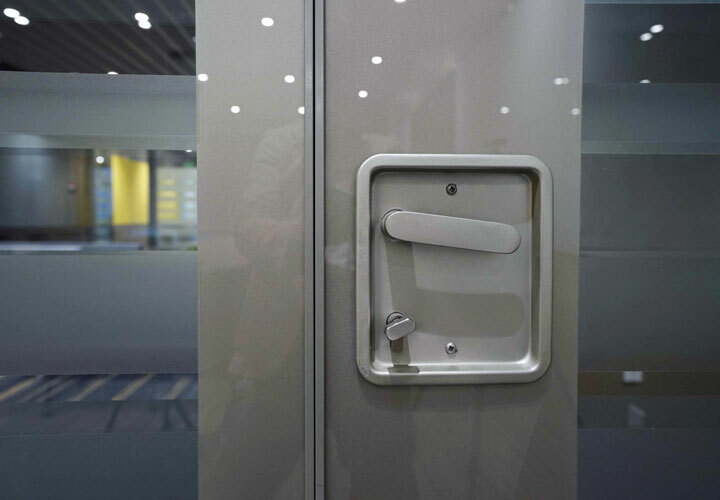 Customized cubic tube handle in finger print free stainless steel. 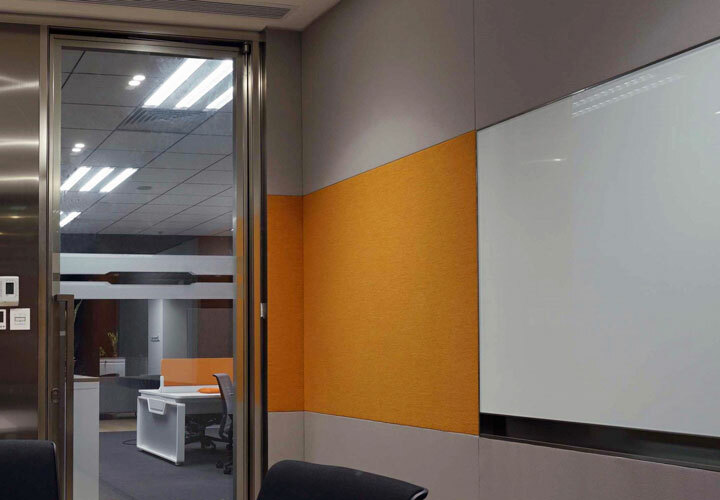 Conference rooms with electric blinds. 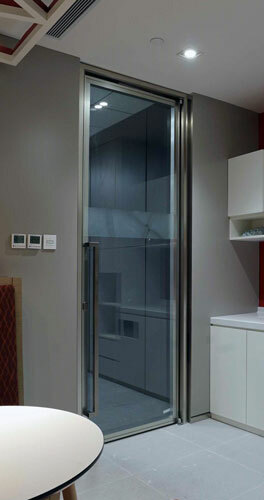 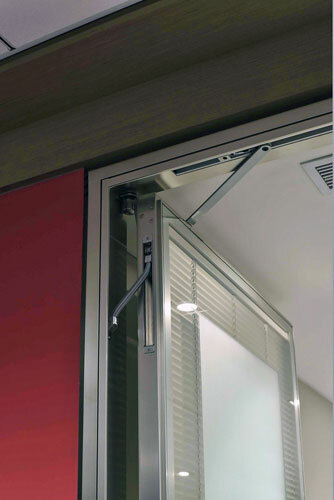 Can be raised or lowered both inside the wall cavity and inside the door panel.